Sunland Park, a neighborhood in El Paso, is a dusty hamlet dotted with beige doublewides, pickup trucks, and mountain peaks in the distance. The roads are covered in desert sand and the unforgiving Texas sun beats down on those who venture outside. A fence divides the former neighborhood of Anapra, leaving one side in Mexico and the other in the United States. This is the kind of neighborhood that Washington politicians are constantly at odds over. But these neighbors just live their lives, one day at a time. President Donald Trump signed an executive order on January 25 to begin construction on the much-anticipated new border wall separating the United States and Mexico. The citizens of border cities such as El Paso will be affected more closely than those in other arears. But there is already a sturdy, high 56 mile fence separating El Paso and Mexico. One of President Trump’s executive orders called for an increase in 5,000 agents to be stationed along the border. Recently you could see the green and white border patrol SUV stationed every few feet along El Paso’s border fence. The fence that lines the El Paso side of Sunland Park bordering Mexico is relatively new, and while it has not completely deterred those coming through illegally, the neighborhood feels at ease. Almost 675,000 people call El Paso home. As of 2016, it was named the safest city in America for the fourth time. The ranking is based on crime rates of US cities of over 500,000 residents. 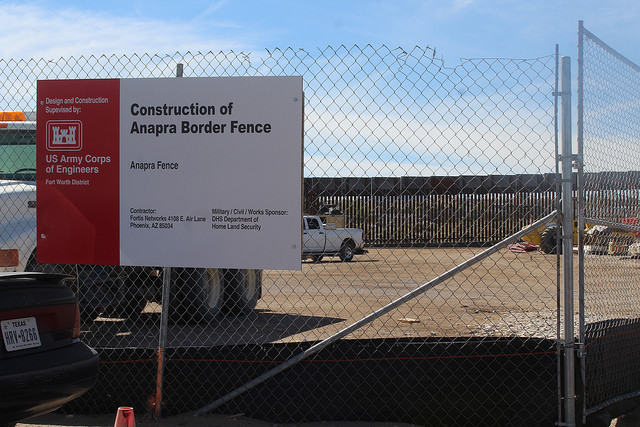 While the President’s promise to build a 2,000-mile wall has been hotly anticipated by his supporters, residents of El Paso vary in their views of imminent changes along the border. The problems along the border have been a constant in these residents lives and many are numb to the conflict. Northwest of Chihuahuita, across highways and up steep hills, is the El Paso County Republican party’s office. 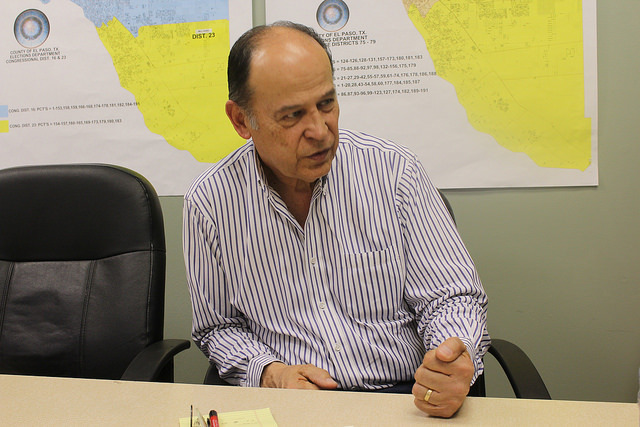 While Chairman Adolpho R. Telles agrees with his Republican counterparts on immigration reform. he said a new wall may not be the solution. Telles himself is of Mexican descent. He is a retired accountant and has worked with companies both in the US and in Mexico. One of Trump’s many statements repeated throughout the campaign was that Mexico would foot the bill for the border wall. Few, including Mexico’s President Enrique Peña Nieto, know how the wall will be paid for, but Trump recently proposed a 20 percent tariff on goods coming from Mexico. The American consumer would be impacted the most, Telles said. Both Republicans and Democrats have argued for immigration reform, though neither party can agree on a solution. 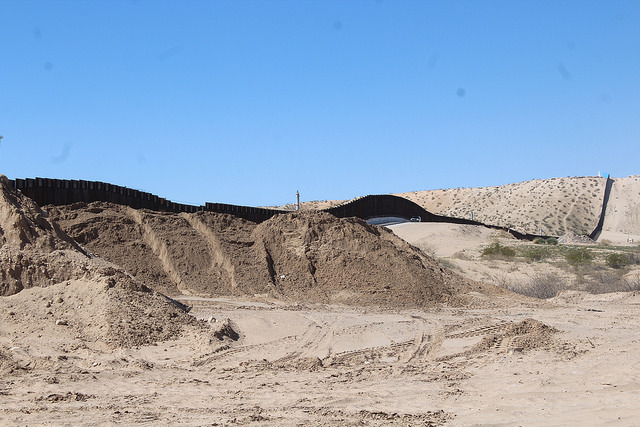 Many El Pasoans believe that the systems in place now, the 56-mile El Paso border fence as well Border Patrol, could do the job. Few actively support a brand new border wall.